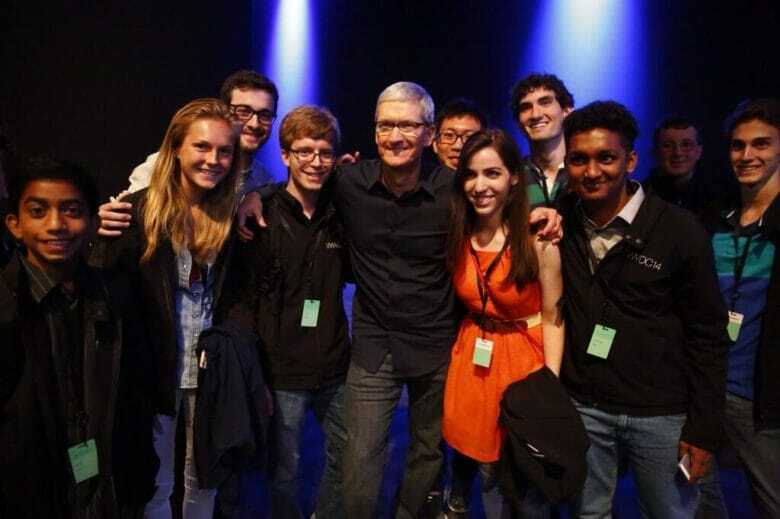 Apple CEO Tim Cook meets some of the scholars at WWDC 2014. 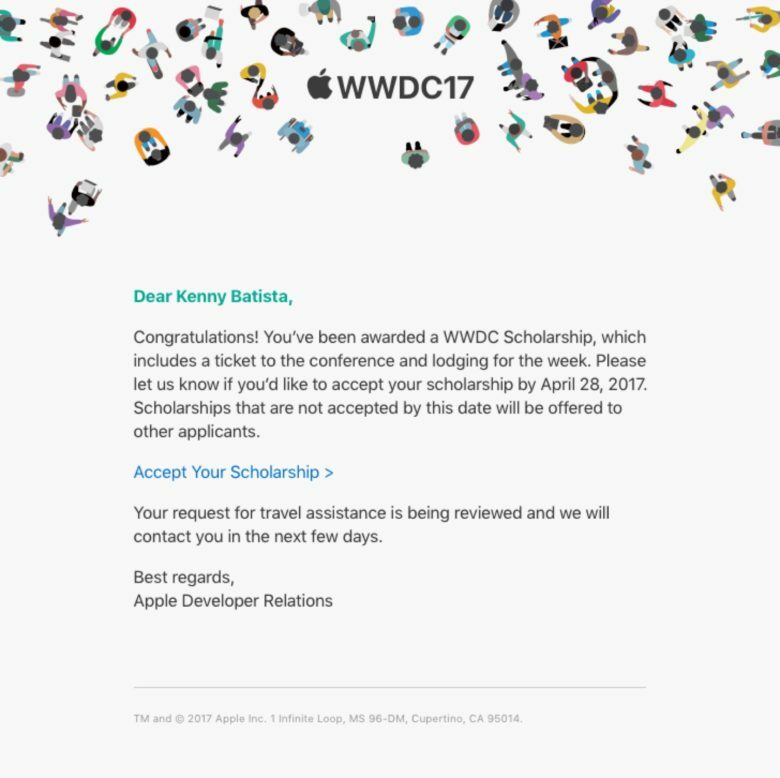 All next week, student Kenny Batista will be writing a diary from Apple’s Worldwide Developers Conference in San Jose, California. Kenny won a coveted scholarship, which includes food, lodging, keynote access and meeting Apple CEO Tim Cook. In his first entry, Kenny describes how he won the scholarship. A few weeks ago, Apple selected me for a WWDC scholarship. I’ll be heading down to the conference this Saturday and staying there the whole week. I’ll be writing a first-person perspective of the event from the dorms, the scholarship orientation (after which we meet Tim Cook, supposedly), the keynote, the sessions and more. I got the scholarship by creating a demo in Apple’s Xcode version of Swift Playgrounds and writing a short essay about it. It took me six days — about 30 hours of work after school — but it was worth it! No sleep till the WWDC keynote! 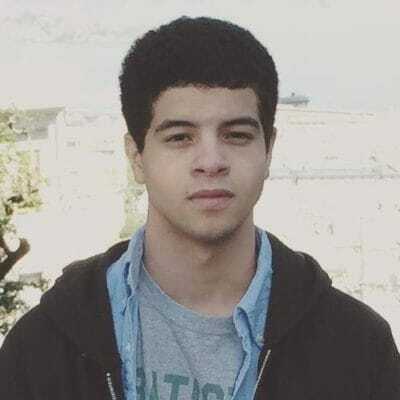 Kenny Batista won a WWDC scholarship by banging out a demo in Swift Playgrounds. Last week I finished my first year at Make School Product College in San Francisco. Make School is a Y Combinator-backed alternative college with a focus on computer science and product development. Make School accepts 50 students from around the world to attend this awesome program. Nine months ago I moved to San Francisco from New York to attend the school. I’m 19 years old. I’m currently lying down on bed as I write this part of the entry on my iPhone: I’m utterly stoked for Apple’s Worldwide Developers Conference next week. I can’t stop wondering about what dev goodies Apple has in store for us this year. Every year, Apple selects about 300 students for its WWDC student scholarship program through a competition. It’s open to kids 13 and older who are students or alumni of a STEM organization. In past years, Apple asked students to make new apps or submit ones previously made. This year, Apple tasked prospective scholars with making a visually interactive scene through either Xcode Playground or Swift Playgrounds, an iPad app that teaches Apple’s Swift programming language. Above is the interactive demo I made. When Apple opened its scholarship program, the company gave us a few weeks to build and submit the playground. I worked on it from home every day after coming from school. I wanted to build a playground that symbolized the main core values of Apple that we all praise: inclusion and diversity. There are three features in the playground that come together in front of today’s modern Apple logo to represent how the core team at Apple (the entire company) embraces people’s differences to grow as a whole. I could have done it way faster, but the classes that I used to program it were not well documented by Apple or the iOS community. So I had to figure out a lot of things myself. 2) flowing diversity Apple logos particles. UIBezierPath is a class deriving from the UIKit framework that allowed me to create line paths on top of my views. I used UIBezierPath to define the three straight, colorful lines that angled around the flowing stars and colorful Apple logos. This WWDC Scholarship award email was great to receive from Apple. And here’s my WWDC Scholars profile. A couple of local scholars and I will be heading down from San Francisco to the San Jose area Saturday morning so we can set ourselves up in the dorms. On Sunday, we will attend the scholarship orientation, where we will all come together and meet and mingle with Apple’s lovely CEO Tim Cook and Apple engineers. Definitely looking forward to meeting the man in charge of releasing the amazing products we all use. The rest of the week will be a blast — we’ll attend the keynote and find out what Apple has been making for us. I’m excited by the rumors of Apple releasing iOS 11, a refresh of the MacBooks, and the other developer goodies that we’ve been waiting all year to see and use. There will be tons of insightful knowledge to be learned from the sessions/labs being hosted by top Apple engineers/marketers. I’m also looking forward to attending the parties being thrown in the area by Square and Google! I’m confident that next week will be a truly unforgettable experience, I want to make sure that I write it down. I will be describing my entire experience on Cult of Mac as a series of diary entries. So stay tuned and come back for more!